Exceptionally effective cleanser, yet mild and soothing. 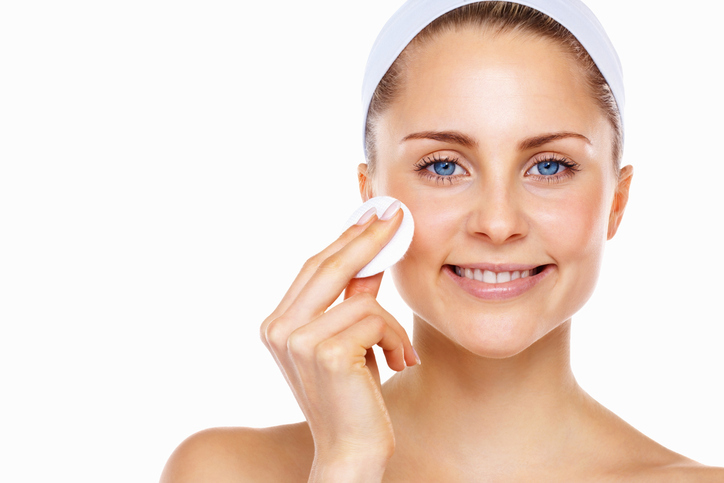 Removes all traces of make-up –including eye makeup – quickly and easily. 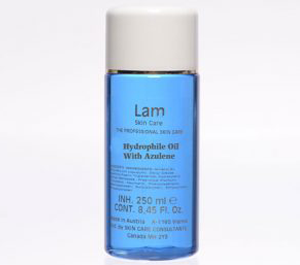 Lam Hydrophile Oil with Azulene, from Lam Skin Care, is an exceptionally effective, yet mild and soothing cleanser. An astoundingly tiny amount of product, when emulsified with water, will quickly and easily remove all traces of make-up and residue from the applied area - even including usually more difficult to remove eye make-up. This cleanser’s remarkable efficacy derives from its dual ability to bind with both oily ingredients, such as creams, make-up, and water. Lam Hydrophile Oil with Azulen is, thus, first able to dissolve the oily film on the skin and is then itself removed with water or lotion, without leaving a residue of oil on the skin. The skin’s protective and necessary base oil film layer, however, is left intact. Lam Hydrophile Oil with Azulene incorporates a markedly high concentration of very high quality azulene. The azulene’s unique calming properties have an incredibly soothing effect on the skin, making this product particularly excellent for sensitive skins. Individuals who wear significant amounts of make-up, such as reporters and actors, also benefit greatly from use of Lam Hydrophile Oil with Azulene for both for its thorough efficacy, as well as its notable gentleness on the skin.